After hunting for the best merit scholarships possible directly from the colleges, you and your child may find leftover expenses that are not covered. Whether your child needs extra money to cover tuition, books, or other expenses, the next step after hunting for merit aid is to apply for private scholarships. Recently I connected with my friend Jocelyn Paonita, a fellow college funding expert, and someone who (like me!) is also passionate about students graduating debt-free. I love her approach to private scholarships! Jocelyn told me that when she was in college, she secured more $126,000 in scholarships, and has gone on to help students secure more than $805,350 in scholarships. I had to see what she taught for myself – and I was pleasantly surprised. Personally, I love the way she has created structured lessons for students and their parents to understand how to find and how to win private scholarships. 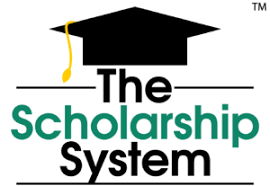 In fact, reviewing her system, I found that everything she teaches can be used to apply for merit scholarships offered directly by colleges, in addition to private scholarships. I asked if she would answer some common questions we hear about private scholarships. Here are her responses along with some suggestions from the expert herself! First, it’s important that you know private scholarships can be used to cover all sorts of expenses from tuition to room and board to books. Students can apply for them year round, however, many of the best private scholarships have spring semester deadlines – which means it’s time to get busy applying! What do you mean by the “best” scholarships to apply to? Aren’t those the Coca-Cola scholarships (6-figure awards)? While applying for major scholarships such as the Coca-Cola or Dr. Pepper scholarship is perfectly fine for competitive students, many students don’t have the credentials to compete for them. Furthermore, THOUSANDS of students are applying for those awards which means they are even more competitive. We recommend students go for smaller-dollar, less competitive scholarships. This includes local scholarships and ones that aren’t easily found on general search engines. Note: Jocelyn covers exactly where to find these scholarships in her free training. Grab your spot for her next webinar here. My student is busy. They can get to scholarships this summer. While there are certainly scholarship deadlines in the summer these days, that happens to be when everyone is applying because they need some last-minute cash. While applying through the summer is a great idea, you don’t want to wait until then to begin (like many students do..) Spring semester is a critical time to apply for scholarships as most deadlines are in the first quarter of the year. And don’t think this only applies to seniors. If your child is a junior in high school, summer is the latest they should begin applying scholarships. Beginning the process junior year could save their sanity come senior year! Most private scholarships have a financial need requirement. While many families see the requirement “financial need required” or “unmet need required” and assume they cannot apply, this doesn’t necessarily mean your student must have the Pell Grant to be eligible (or a low EFC). In some cases, if your child has to borrow to cover the remaining amount, that can be considered ‘financial need.’ Unless the scholarship specifically states that it is based on the EFC or FAFSA results, this could be an opportunity for your student to apply. This isn’t just theory: One of The Scholarship System’s coaches, Samantha, received a scholarship that had a financial need requirement even though her FAFSA results only gave her unsubsidized loans through her university. Don’t private scholarships reduce my child’s other awards? After surveying multiple top universities, Jocelyn found that schools follow an order for reducing awards if, and only if, the student surpasses the total cost of attendance (COA) figure in aid. Financial aid directors explained that, if the student has an excess of funds, they take from student loans first, work study second, and then from other awards if the student was over-awarded to that extent. Still, your child would have to hit the total cost of attendance first. Lastly, don’t be afraid to argue it if your school does try to take away awards. One family in The Scholarship System won $6,000 and was notified that their school follows scholarship displacement. Instead, through their knowledge from the course, they knew to call and appeal any reduction in aid. In the end, the school did not reduce anything and allowed them to use the $6,000 from private scholarships. Of course, merit scholarships offered directly by colleges are still the first opportunity for families to reduce their college costs. Once merit aid has been awarded, the next step is applying for private scholarships (and, actually, your child can apply for private scholarships before they choose a school). If you want to learn more about where to find these scholarships that Jocelyn and her students have used to pay for college, join her free webinar training here. *The best time to apply for college scholarships (answer: RIGHT NOW!). *How to get your kid on board with scholarship applications and mindset. If you have a child that is in high school or college, do not miss this free training. This could be worth tens of thousands of dollars for your family.